Shenzhen Opway Communication announced the sample availability of SFP28 ER on Jan 12, 2019. R&D team has developed the 40km SFP28 ER product successfully, based on the unique 1310 DML +APD solution. Comparing to the existing EML solution, the cost is lower and power consumption is smaller. The product meets standards of IEEE802.3cc/SFF8472/SFF8431/SFF8432. It is idea for the 40km application of 5G eCPRI and 25GE-based ethernet. 25G SFP28 ER is an important product on the roadmap. With it, we provide full series of 25G SFP28 for all the distances: 100m, 300m, 2km, 10km, 30km and 40km. 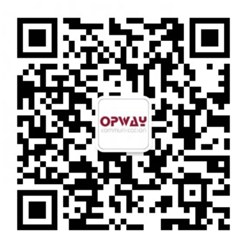 Shenzhen Opway Communication is the mainstream optical transceiver manufacturer in China. It is the holding company of TONGYU (stock# 002792). Shenzhen Opway was founded by the fiber communication industry pioneers and gathered plenty of industry experts. We focus on the optical transceiver design and manufacture, providing one-stop-buy service for various transceivers including 25G SFP28 series, QSFP28 series and CFP2 series. Opway headquarter is located in Shenzhen China, and the manufacture center was established in Wuhan Optical Valley in 2017 . With total 6400m2 facility, millions of transceivers were shipped in 2018, of which, >50% were shipped to overseas customers. Prev：2019 Annual Party of Shenzhen Opway CommNext：Merry Christmas!